The Board of Supervisors stopped short of stripping hiring power from the county Fire Department in the wake of nepotism accusations, deciding instead to establish a “strike team” to ensure transparency and fairness. The compromise was proposed by Supervisor Gloria Molina, who originally called for all of the department's hiring decisions to be made by the county’s Department of Human Resources. Molina said the “strike team” agreement was reached after a long conversation with county Fire Chief Daryl Osby. The team, which will be charged with overseeing administration of an exam for entry-level firefighters, will include county attorneys and representatives from the Fire Department, the firefighters’ union, the Department of Human Resources and the county's Equity Oversight Panel. “We have an opportunity with all of these vacancies ... to bring some integrity ... to the process,” Molina said. 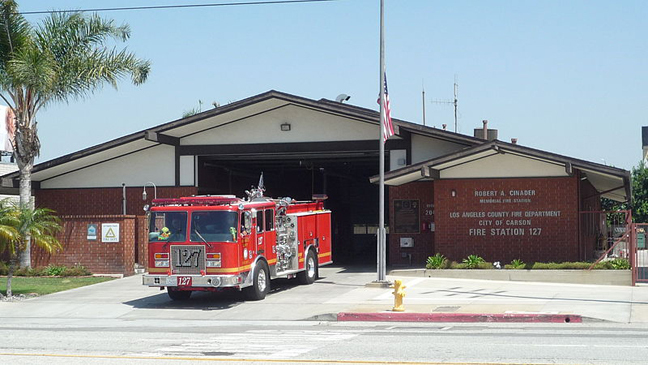 The concern was prompted by a Los Angeles Times investigation that found nearly 7 percent of the county's roughly 2,750 firefighters were the sons of other firefighters and that 13 percent of the force was made up of relatives of other firefighters. The newspaper reported that questions used in formal candidate interviews, meant to be kept confidential, were circulated through station houses and passed on to family members to give them an edge. Once hired, recruits must pass a series of exams to graduate from the firefighting academy. The Times cited the case of one firefighter's son who initially failed 13 of 14 quizzes, posting an average score that was the worst in his class, but later passed a cumulative exam with the minimum required score of 83. The firefighter’s father, who oversees training, told the newspaper that he never intervened in the process and was prepared to see his kid fired. In response to the report, Osby requested an audit of department hiring. “We’re looking at whether exam questions were compromised,” Auditor-Controller John Naimo told the board. The department is also looking at how candidates became eligible to join the academy. There are about 200 open positions for firefighters, Osby said, telling the board he would make sure that all candidates got a “fair shake” at the spots. “The examination will be fair, it will equitable, it will be accountable and we will be sure that we attract all applicants,” Osby said. The positions are highly sought after, with one in 17 applicants hired over the last seven years and academy graduates earning about $61,000 annually to start, according to The Times. Molina said she also wanted to see more women hired onto the force. The department’s 38 women represent less than 2 percent of all county firefighters. Supervisor Michael Anton­ovich said the tradition of firefighting families should not be disparaged, but “applauded,” though he also insisted that the system must be fair. “Those are great family traditions,” Antonovich said, referencing similar patterns among police officers, doctors and politicians. Supervisor Don Knabe agreed, mentioning Kevin Woyjeck, a 21-year-old Seal Beach firefighter and one of 19 members of a hot shot crew of firefighters who died in Arizona’s fast-moving Yarnell Hill fire last summer. “He was trying to build his own resume,” not relying on his father’s accomplishments, Knabe said. The board’s vote to establish the strike team was unanimous. The team is scheduled to report back weekly.